The Card Cyber Museum features over 340,000 unique cards (680,000 images)! From baseball and football cards to non-sport (trading) cards to exclusive special exhibitions, you'll never run out of things to explore at the Card Cyber Museum! If you don't have your free Visitor Pass yet, you may click 'Preview' in the site menu bar to browse more than a dozen sets selected at random in our Public Lobby. You'll be shown a small preview of how the cards look in our Gallery. Click on 'Search/Sort' to see how selections may be made for sorting and filtering (the options available when you are logged in with your Visitor Pass are much more extensive). Check back soon for our first site tutorial video. Our curators will walk you through the online museum's features and options, helping you to get the most out of your visit. We're planning a limited series of short tutorial videos about the Card Cyber Museum's key areas. As of 2018, there are over 1000 complete card sets in the Cyber Card Museum, including over 400 Baseball Card sets and 200 Football Card sets. 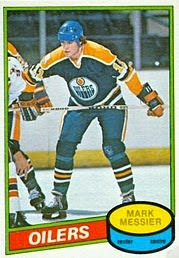 Hockey, Basketball, and Trading (Miscellaneous) have over 100 complete sets each. In addition, you can browse over 500 complete insert sets in all sports. Thousands of publicly available articles and blog posts have been written about cards and card collecting over the past fifteen to twenty years. Our curators have read nearly all of them, and have hand-selected the best of the best. They've summarized their content, and linked directly to their sites, so that you may learn more about card collecting, and the passion many collectors have for the hobby. 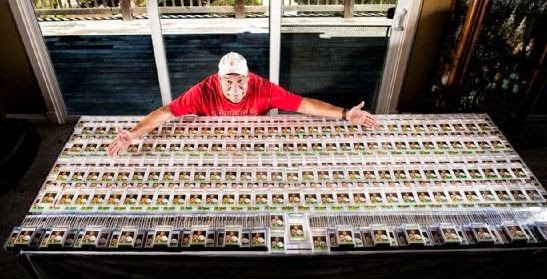 You've all heard stories about the obsessive Ryne Sandberg collector, or the fanatical Jose Canseco devotee - card collectors who focus their attention on all of the cards produced for a single player. Mina Kimes writes about one collector who takes it to the next level by making his focal point a single card from 1964. 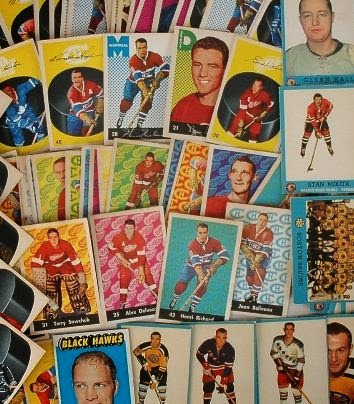 Joe Rivera helps beginners to navigate the world of hockey card collecting with some simple basics, along with tips and warnings. 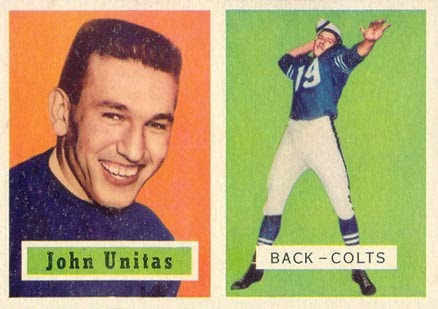 Unitas, Brown, Namath, Baugh, Payton - if money is no object, then get out your wallet and start working through Rich Mueller's list of the ten football cards you must have. 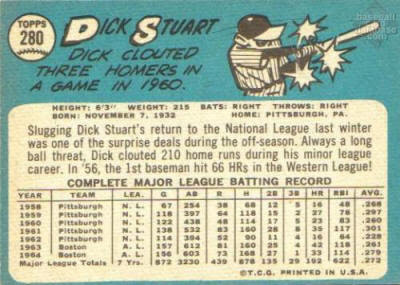 The Back Of The Cards - Does Anyone Still Read Them? Vintage baseball card lover William Szczepanek flips his cards, and reads them - there's some interesting stuff back there. 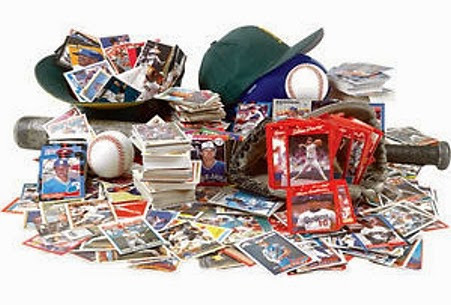 Many collectors talk about that "one card" that really ignites their passion for the hobby - or sometimes, just brings back some great memories.